You are here: Home / Agribusinesses: Where do we stand with future Water Legislation? Agribusinesses: Where do we stand with future Water Legislation? 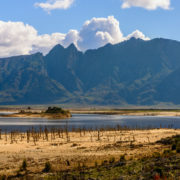 The Western Cape, and South Africa, is in the midst of the worst drought in a long, long time. With much less to go around, responses have included increased monitoring, demand management, and the imposition of restrictions. Still we are far off the mark with an incredibly tough summer ahead. But with increasing variability in supply and increasing competition for water resources, what of the future – what are the planned legislative reforms by the Department of Water and Sanitation (DWS) and how are these likely to impact agribusinesses? The Department of Water and Sanitation (DWS) has indicated that the allocations to agriculture will remain capped at the current 67%. There will be a focus to redress past imbalances in allocations to Historically Disadvantaged Individuals (HDI’s). Approximately 65% of South Africa’s water use is through land ownership as Existing Lawful Uses (ELUs). Verification has commenced by the DWS throughout the country to validate and verify ELUs. In time, all ELUs that have not been verified will need to reapply for their water use entitlement by way of the compulsory licensing provisions. If refused or granted a lesser use than the ELU, compensation may be claimed for any financial loss suffered in the process, subject to the fulfilment of specified criteria in the National Water Act. Necessary to accommodate demands brought about by changes in socio-economic circumstances, and it is in the public interest to meet those demands. Other similar licenses are also reduced. The irrigation sector currently receives a significant subsidy, due to sector-wide caps on various charges. Importantly, the agricultural subsidy will be removed in phases, with a proposed 20% annual reduction over a period of five years. As highlighted by Brand and Levetan, “physical, regulatory and reputational risks relating to water use can cause disruption of supply and, in worst cases, termination of business operations”. It is important for agribusinesses to gain absolute clarity on what their water use entitlements are; measure and benchmark water use; and, implement water use efficiency measures wherever possible. Blue North has developed a series of comprehensive Water Risk Management solutions. These entail a combination of desktop water risk profiling, operation-specific water footprint calculations and benchmarking; and the development of a detailed and comprehensive operation-specific water risk management plan. If you would like more information on Blue North’s Water Desk, please contact Myles Oelofse on myles@bluenorth.co.za. One of the lowest levels at which I have seen the massive Theewaterskloof Dam (4th largest capacity in South Africa) close to Villiersdorp in the Western Cape of South Africa. https://bluenorth.co.za/wp-content/uploads/2017/09/Fotolia_118759364_M.jpg 609 3117 David Black https://bluenorth.co.za/wp-content/uploads/2015/12/Blue-North-Logo-Header-300x125.png David Black2017-09-14 11:21:422017-09-14 11:53:45Agribusinesses: Where do we stand with future Water Legislation?